Besty and Hunter’s Desert Rain Maternity. The morning after the rain, yes every now and again we do get a little rain, the desert was looking incredible, the sand had a beautiful orange tone to it and it was just the 3.5 of us for miles. 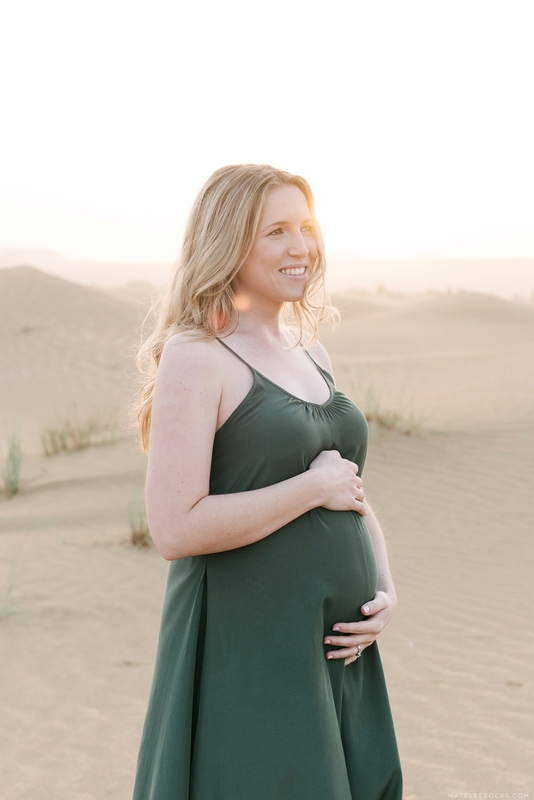 When is comes to maternity photo shoots, you might have notice, I love taking couples to the desert, especially at sunrise. Reason? There is something so magical and special about being on your own in this beautiful open space and the focus on what adventure waits them. Betsy – ‘My husband Hunter goes to Dubai regularly for work, and while Dubai was on my bucket list, for some reason or another I had not been able to join him on his previous trips. This time worked out, and since I was 4.5 months pregnant, I figured it was now or never! 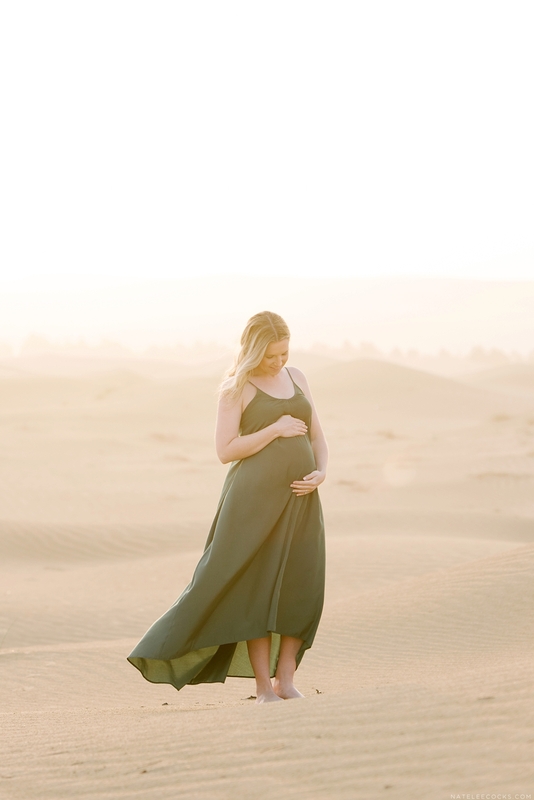 As soon as we decided to make this trip into a babymoon, I started dreaming of a desert maternity photo shoot. 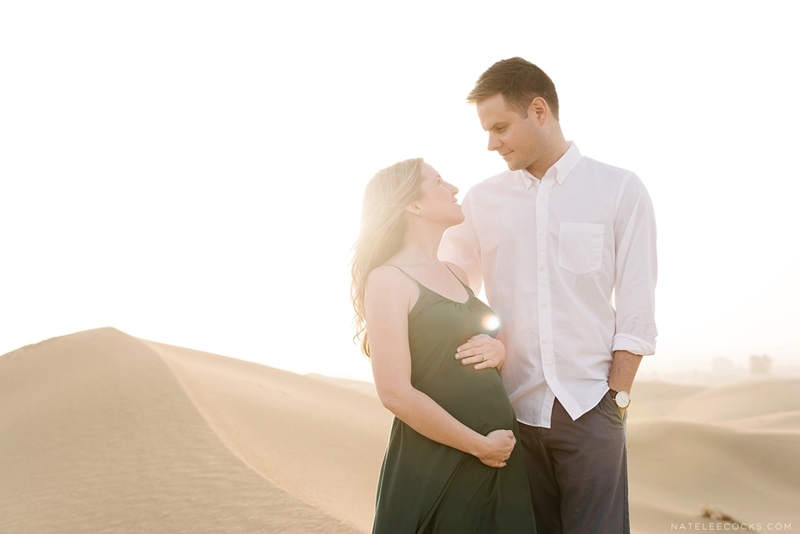 When else would I have the chance to have maternity photos taken against the rolling sand dunes of Dubai?! Our favorite memory from this vacation was watching the sunrise out in the middle of the desert during our photo shoot! We felt like the only ones around for miles and that we had the whole desert to ourselves. The lighting was beautiful and the fact that we have professional photos to remember it by makes it even more special. It was a rare opportunity unique to Dubai–we don’t often travel to the desert– and was something different than the popular tourist sites and main attractions of the city. Although I have to say, going to the top of the Burj Khalifa to take in the view from the tallest building in the world was also a great experience and fun memory! Having been to Dubai numerous times, my husband had never seen it rain there, let alone thunderstorm! In a rare turn of weather, it rained 2-3 days during our trip, even thunderstormed one night! Everyone local we talked to couldn’t believe the weather. While it could have ruined the trip, and it forced us to switch up our original photo shoot plans, it was actually interesting to see Dubai in a different light in the rain! Our hotel room had an amazing view of the Burj Khalifa and the night of the thunderstorm, we just sat and watched lighting bolts pierce the night sky and illuminate the amazing skyline with the tallest building in the world. It was a special memory to see something you don’t see very often in Dubai! 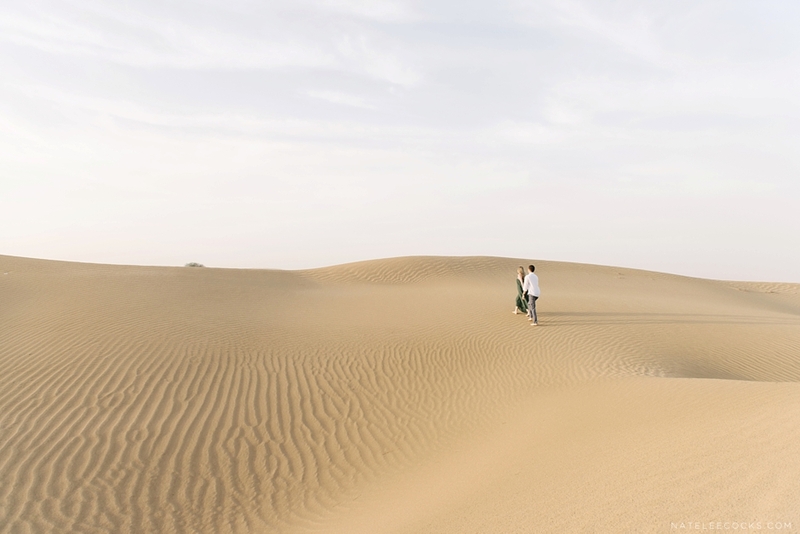 Flytographer was exactly what I was looking for when dreaming of a desert photoshoot during our babymoon trip to Dubai! Everything from the initial inquiry to connecting with our photographer on location to receiving our final photos was seamless and easy! Having the concierge available to answer questions and coordinate the details was very helpful. Our photographer Natelee was so kind and flexible when rare rainstorms threatened our initial plan and she offered a backup plan to shoot at sunrise the next day which worked out even better. 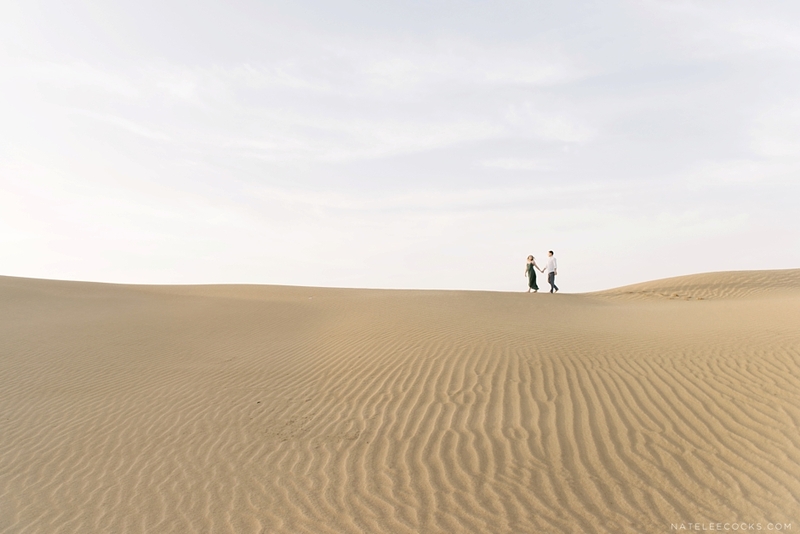 We LOVE how our photos turned out and are so glad to have them as such a unique memory of our babymoon trip to Dubai. We wouldn’t have these special photos without Flytographer making it possible. We couldn’t be happier with our experience and look forward to using Flytographer on future travels!